Beautiful Updated Rowhome in Locust Point Boasting a Neutral Color Palette, Gleaming Floors, and Light Filled Interiors; Living Room with Crown Molding and Recessed Lighting; Kitchen Equipped with Stainless Steel Appliances, Granite Counters, a Decorative Backsplash, a Center Island, a Breakfast Bar, Ample Soft Close Shaker Cabinetry, a Wine Rack, and a Casual Dining Area; Upstairs Find the Master Bedroom with Private Attached Full Bath, Another Generously Sized Bedroom, and a Full Bath. 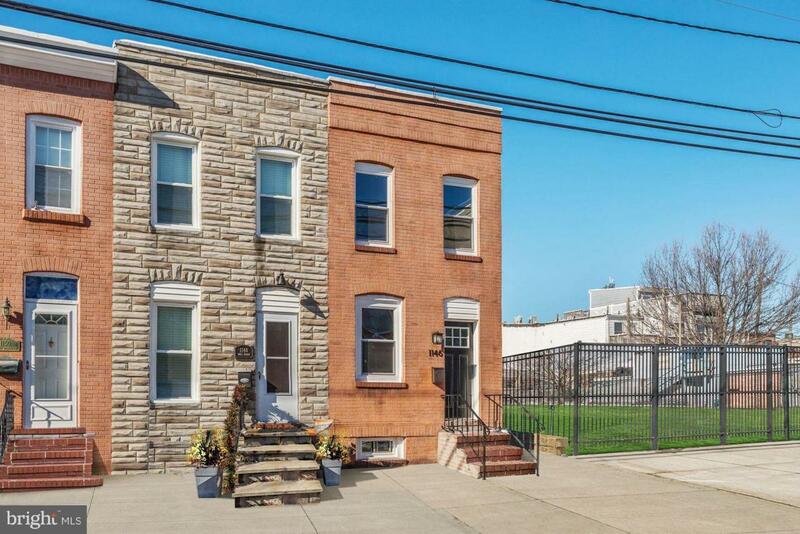 Exterior Features Include: Fenced Rear, Patio, Sidewalks, Street Lights, and City Views. Recent Updates: Roof, Water Broiler, HVAC, Appliances, Flooring, Fresh Paint, Granite Counters, Cabinets, Ceiling Fan, Sump Pumps, Windows, and More! Zoning Description Single Family Semi-Detached (21.7 Units/Acre) & Attached (58 Units/Acre). Accessibility Features NoneLevel Entry - Main Assessment Year 2018 Association YN No Central Air YN Yes Condo YN No Cooling Fuel Electric Cross Street Marriott St Electric Circuit Breakers Entry Level 1 Heating Fuel Natural Gas Incorporated City Name Locust Point Lease Considered YN No Navigable Water YN N New Construction YN No Original MLSNumber 301276057966 Ownership Interest Fee Simple Possession Negotiable Sale Type Standard Section 12 Senior Community YN No Sewer Public Sewer Structure Design Type End Of Row/Townhouse Tax Annual Amount 5860.0 Tax Assessment Amount 248333.0 Tax Lot 007 Utilities Cable Tv AvailableElectric AvailableNatural Gas Available Vacation Rental YN No Water Source Public Window Features Double PaneEnergy EfficientInsulatedLow-E Zoning R-8 Zoning Description Single Family Semi-Detached (21.7 Units/Acre) & Attached (58 Units/Acre).